These popular programs venture out into town to explore the area’s history. Learn about the people who once lived in the area through stories, old maps, and photographs. Reserve your place in advance by filling in the form below. These popular tours fill fast. Become a member today and your walking tour will be free! In the years leading up to the Civil War, Norwich residents wrestled with the issue of anti-slavery. While some community members took a stand for their beliefs in anti-slavery, others disagreed. This tour explores the variety of perspectives in these antebellum years and tells the story of how the community came together during the war. Tour begins and ends at the Norwich Bandstand. 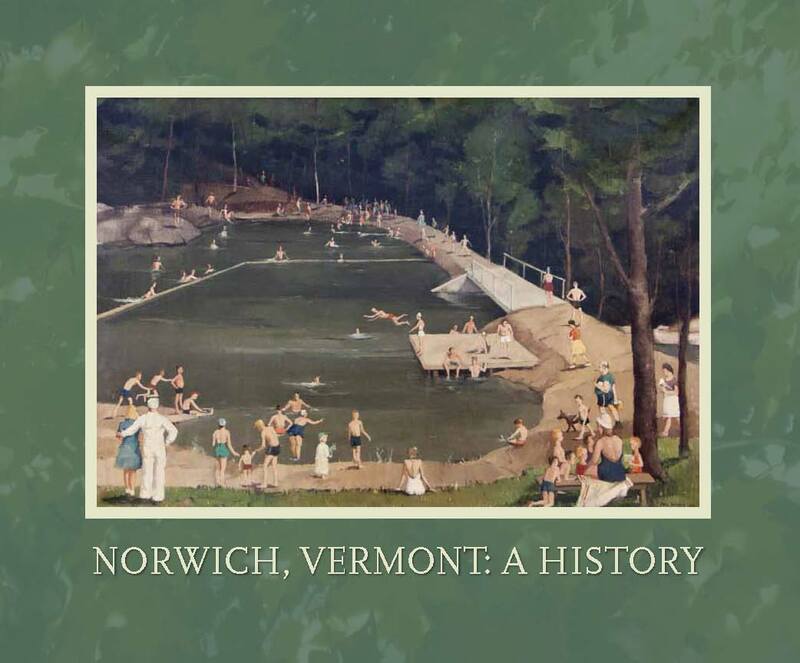 Walk right into the past to the site of the former hamlet of Lewiston which was part of the town of Norwich and located on the Vermont side of the Ledyard Bridge. The houses and shops that comprised Lewiston were bulldozed in 1967 to make way for the new I-91 interchange and the road into town was re-routed. The tour follows the old route from Norwich to Lewiston and includes a visit to the railroad station. Maps, photos and reminiscences of those who knew it will bring this bit of history alive. Tour begins and ends at the Lewiston railroad station. Using old maps, documents, and photographs, this tour explores the waterways, old mills, and railway neighborhood around the Pomponoosuc. New Tour! Norwich University celebrates its 200th year in 2019. This tour explores the interactions between Norwich and the University when this military academy sat right in the center of Norwich. Tour begins and ends at Norwich Historical Society. Between 1945 and 1974, low-slung homes of the style now known as Mid-Century Modern were built on the hillsides in Norwich. Often architect-designed, these homes featured the abundant windows and open interiors that were seen as solutions to the needs of modern, postwar American family life. This tour explores the circle of architects, artists, scholars, and doctors who came to Norwich (and Dartmouth) during and after World War II had their influence on the community and its landscape. Tour begins up on Elm Street at the intersection of Hopson Road.